The chin plays an important role in the overall shape and harmony of the face. 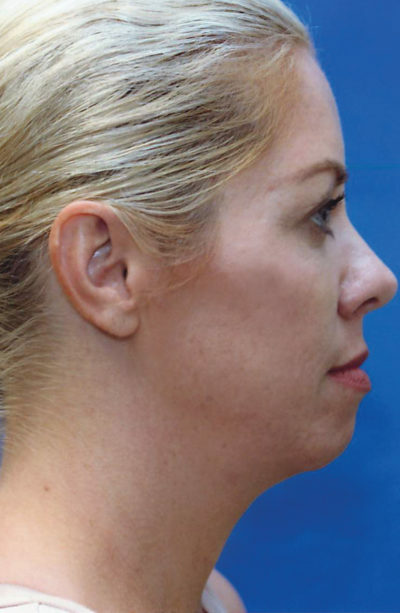 Some individuals are born with small chins, some have improper alignment of the jaw causing what appears to be a small chin, while still others have a chin which recedes with time along with the natural aging process. Those persons with improper alignment of the jaw are usually referred to an oral surgeon in order to correct this “underbite” or “overbite”. 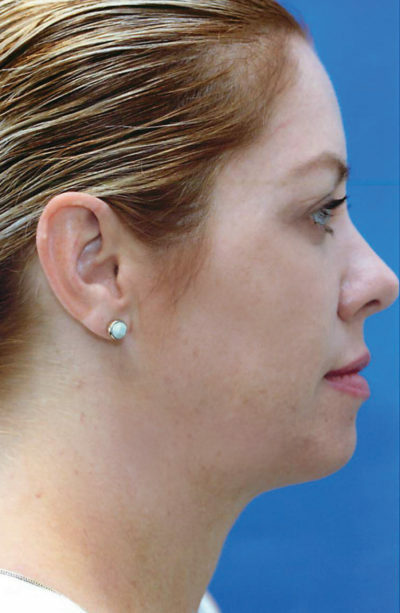 The remainder of patients with small chins are potential candidates for a chin implant consisting of a synthetic material placed under the skin and in front of the “chin bone” through a small incision under the chin. The incision eventually becomes imperceptible. The implant itself is a medical grade synthetic material with a proven safety record. Chin augmentation is usually performed in an outpatient setting under twilight anesthesia, with very little pain or discomfort. A dressing is placed at the time of surgery and remains in place for 1-2 days. The dissolvable sutures are used and thus do not need to be removed. One can normally return to work or school after 5-7 days if there is no heavy lifting or straining, as most of the healing has taken place by this time. After the mentoplasty, the chin may have a peculiar sensation- this will recede with time. Like any other implant surgery, certain risks must be accepted, i.e. infection, numbness, swelling, asymmetries, discoloration and scars. Like nasal surgery, chin augmentation is most gratifying. It adds a certain harmony to the face- something that has always been lacking, but not necessarily noticed.